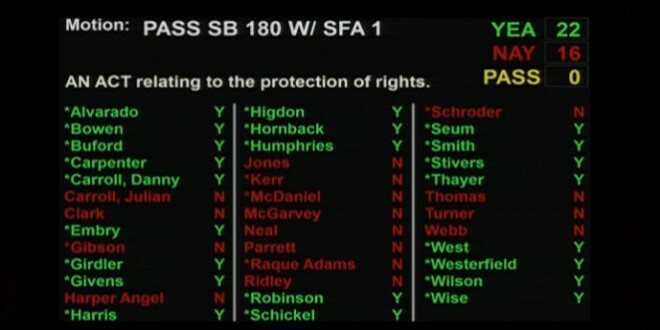 BREAKING: Kentucky Senate Votes 22-16 To Repeal All Local LGBT Rights Laws In The State - Joe.My.God. Moments ago the Kentucky Senate voted 22-16 to approve a bill which would overturn all local LGBT rights laws in the state. Cities with LGBT protections include Covington, Danville, Frankfort, Lexington, Louisville, Midway, Morehead, and Vicco. Democrats have a slim 53-47 majority in the Kentucky House, but if the bill passes there, anti-gay Gov. Matt Bevin will surely sign it.